Clean and optimize 3D CAD files to get the lightest 3D files. Prepare 3D data from a wide variety of CAD for real time visualisation of huge mock-up, photorealistic rendering, webGL rendering, serious game engines. 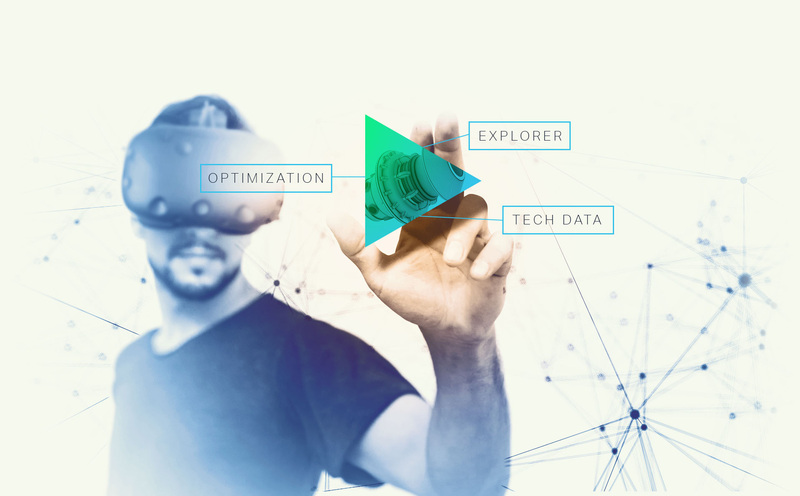 Visualize yours 3D data with office computer or VR system and share your experience in groupware session. Do you want to test an evaluation version ? 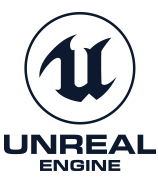 GPure, through a strategic partnership with EPIC Games, is now integrated in DataSmith, the Unreal Engine workflow Toolkit for Dmu preparation. 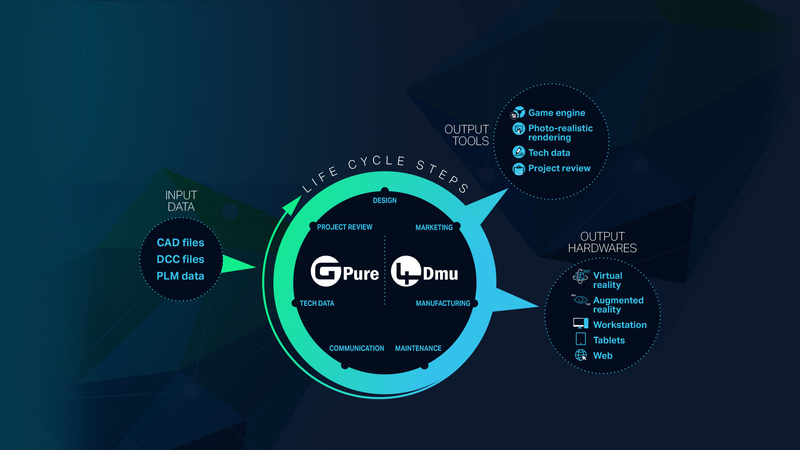 4Dmu is a software suite composed by GPure, 4Dmu VIEWER, 4Dmu WEBGL and 4Dmu AUTHOR to answer needs of each project cycle step. 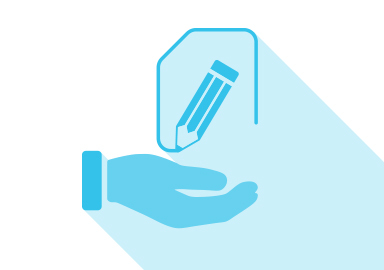 If you have any specific requirement, we welcome you to contact us to define and create together your unique tool. All text, graphics, audio files, code, downloadable material, and other works on this web site are the copyrighted works of Deltacad All Rights Reserved. Any unauthorized redistribution or reproduction of any copyrighted materials on this web site is strictly prohibited. Other product and company names are trademarks of their respective owners. This web site contains simulated images; actual appearance may vary.